It doesn't particularly, schafe. It's just tidier. schaferwhat‽ wrote: ok to clarify, how does having multiple personalised expressions of acknowledgement to forumites birthdays undermine the civil atmosphere? Just out of curiosity mind. Once again, I repeat, they do not. Schafe's mentioned it before, but why the 'opt in' aspect seems somewhat of a doozer. I mean: the whole damn forum is opt-in. We're not being broadcast directly into the minds of the planet's under-5s, after all. Moreover, despite what I said above (the run-down given at top o' thread is applicable to the forum itself), there's really no need whatsoever for 'opt in'. Why not just have the Debater's Lounge be a subforum from Insanely Off Topic, visible but highlighted as 'keep your thick skin on, there's going to be topics* that are frowned on at vapid dinner parties'. No need for these extravagant and presumably time-wasting (for mods) hoops to be jumped through? Also anyone who's interested in seeing what they're opting into can just have a gander at it. Make it Members Only, perhaps, in that it's not visible if you're not logged in? * Conservatives are reinforcing the rich in entirely stereotypical ways, mormonism is the only way, the Pope leads an organisation which protects paedophiles etc. The mods took the view that that approach wasn't enough, xisor. Opt-in it is, I'm afraid. J D Dunsany wrote: The mods took the view that that approach wasn't enough, xisor. Don't be afraid, but that much is evident. Perhaps they're privvy to something that'd change my mind too? We could debate the moral implications of the emperors mercy, have a serious debate within a in-game one. Let me be clear, this kind of discussion has nothing to do with either GW or the BL, and as such it was decided by vote that the Bolthole is not the place for it. However... this new forum is a concession for those who have proven able to discuss things in a civil fashion and be mindful of their words, peoples' reactions to them and the warnings of the mod team. This is being offered as a privilege which we can take away if needs be, either temporarily or permanently, from those who are unable to behave and conduct themselves properly. I understand your feelings about this issue, but the choice now is to either keep topics liable to cause offence and/or controversy to the sub-forum, or to take them elsewhere. The Bolthole was not set up for this sort of thing, and this is a case of us meeting you all half-way. Well, at this stage, I think I'm opt out. since the bolthole started it had an off-topic area bringing in extra conversation for the people here to engage in. This wasn't an official BL/GW forum which was staffed and manned to represent corporate interests. This was a place for a community of folk to continue to enjoy each others company and perhaps in a freer and less restrictive way. When did this change? Why was I not informed? What considerations did the Moderators take to make their decision and why wasn't the views of the community one of them? This forum's rather unique relationship with BL is a key consideration at the back of my mind in all of this. This is a forum that, conceivably, any BL fan of whatever age, political persuasion, sexual orientation or personal faith could access. Indeed, iirc, when the new BL site came online sans forums, fans looking for a place to post fanfiction and discuss BL products were sent this way. To have an off-topic section where there exists the possibility of contentious topics being discussed irresponsibly (as has happened in the past) makes me feel, to borrow a word from schafe, uneasy. The opt-in sub-forum avoids that possibility rather neatly. I understand where people's frustration comes from. Really, I do. The mods haven't taken this decision lightly and a lot of work has gone into setting up the sub-forum. I hope it's as successful as we intend it to be. Perhaps we will have to consider this minor restriction as the price which we must pay for the benefits we receive, such as the interraction we enjoy with the editors and writers, which not many other places can boast, and the exclusive extracts and extra submission time that we've been offered. All gratis, all for being the forum that we are. The Wrath's two cents are that this is a good idea, is really a very minimal effort for those who want it but has absolutely zero impact on those that don't, and makes logical sense from the BL/GW relationship point of view. What can I say, I like to be different. schaferwhat‽ wrote: Edit: Tried to post this last night but my internet was being screwy. Ghurlag wrote: They, uh, are available. Up there. I'll chase up the moderation issue for you, though, shafe. then what is this run through of the rules the mods will give me if I ask about joining? Ah, that line was a relic from when I was drafting this post. Initially, the mods were going to present you with the rules as you signed up, but I thought it would be timesaving if they could just refer people to this post and get them to agree, so I included them as well. Made it a bit confusing, sorry. Essentially I'd already done what I think you were asking me to do. schaferwhat‽ wrote: I'm out btw, it seems like an awful lot of effort just to discuss things on the internet. If I want to discuss things and sound out this community (and it happens, it's a nice, smart bunch here) I'm going to the traditional thing and post it for everyone and people can respond and react (either by taking part or taking offense) as they see fit. To try and explain: The situation prior to the creation of this subforum was that that ability was restricted, in response to the troubles we were having with moderating the IoT board. Now part of that may well be due to a lack of clear moderator policy, as you have mentioned. I've reawakened that topic with the other mods and I'll strive to get something delivered to you. These aren't just platitudes, I actually want this to happen. But in the meantime, we've created an area where that right is re-extended, and a clear set of rules (which are the only rules which apply to that board, not extra ones on top of the rest) and a statement of moderator policy are provided for that area. This is so people can go somewhere on the forum to talk freely. I'm hoping to get the rules and moderator policy for the whole board similarly clarified. The reason this board is private is not to punish anyone, nor is it so we can remove people with unpopular opinions (indeed, the moderation policy hopefully makes it clear we won't be doing that at all). It is, as JDD said, down to us trying to deal with having a semi-official sponsor who may expect us to keep our boards clear of inflammatory or controversial material which can be publicly identified with them. We make the area private to deal with that. We make it opt-in rather than members-only so we can remove people who repeatedly break the few rules. It might not be perfect, but we are trying to give something back here. I'm sorry to hear that you're not going to be using the board. I had thought of you and Xisor specifically as potentially enthusiastic members. schaferwhat‽ wrote: Where the line is drawn over if a subject is suitable for anyone or just for the chosen few who opt in to a discussions sub forum is unclear to me anyways and again the term "lighter moderation" with regards the new area means nothing when the current state of affairs isn't defined or organised. Well, yes, it might not be easy to decide if something needs to go in the subforum. Of course, if it's currently against the rules applying to the rest of the IoT board then the decision makes itself. But there's nothing that says it's only for such material. We leave that to your judgement. My first post in there could easily be placed out here. Regarding "lighter moderation": as I say, the subforum has its own clear rules and moderation policy. In there you should know what's going on. The same for out here can be considered pending. Raziel4707 wrote: Perhaps we will have to consider this minor restriction as the price which we must pay for the benefits we receive, such as the interraction we enjoy with the editors and writers, which not many other places can boast, and the exclusive extracts and extra submission time that we've been offered. All gratis, all for being the forum that we are. have the authors or editors/staffers of BL taken issue with anything raised here? If not why is this being mentioned, a USP that may be but the interactions with such people aren't the bread and butter of anyones day to day experience with the forum. Or was this just a suggestion that I should be happy that this place exists and should thus be quiet? Harking back to the "moderators are meant to create a civil atmosphere" I'm percieving less of "a friendly word in your ear" moderation that we had of old, again the sub board is a way to move "difficult" things off to one side rather than the moderators and the users engaging in a relationship built upon mature understanding and respect. 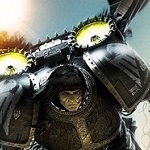 If the issue is "we have reasons to be concerned that the material being discussed may impact on our unique and advantageous relationship with the Black Library" why couldn't we just get told "look, theres corporate nonsense going on which is making some things a bit hairy so we're going to have to be stricter and you lot need to be more aware and considerate in your posting perhaps" rather than banning topics out of hand and dealing with the want of folks in the community to discuss things with segregation? I'm not saying you aren't being totally reasonable, I will not post politico-religious threads on insanely off topic (or anywhere else other than worlds of warhammer where they'll be concerning the quasi-fictional faiths and politics of the GW-verses). You lot are moderating with an eye on other concerns and I appreciate that, I volunteer moderated some message boards being hosted by a television production company and had to thus ignore the wishes of the community and hold up the standards the people paying for the site wanted to have upheld. It's not easy especially with me moaning at you. I however feel that this hasn't been handled well and take some sort of principle based objection to how things are going at the moment (also because I can talk to a fair few people here by means other than the forum if I just wanted to discuss things with a limited amount of people here with less scope of new and exciting fresh ideas and people to encounter coming across the debates which makes it seem a bit pointless opting into talking to the same group of 20-50 people maybe). I understand where you're coming from, schafe. I'm sorry that we don't seem to have done a good enough job of explaining where we're coming from. ... and that's what we've tried to do, but, tbh, the whole reason the ban on contentious issues was made in the first place is precisely because some forum members have not acted in anything like a mature manner when approached by mods over violations of the rules that they agreed to when they joined this forum. A fair few of the issues we've dealt with have come from the IOT board. Rather than remove it completely, we're trying this half-way house. Making it an opt-in sub-forum is, imho, a sensible approach because it gives mods another means of dealing with unacceptable behaviour in relation to topics that have historically generated that kind of behaviour before. It also makes it a conscious decision for users to get involved in that kind of debate responsibly - perhaps more conscious than if those topics appeared among music and video reviews and threads on the new Space Marine game. As to the relationship with BL, no, there's been no specific communication that I know of. That doesn't mean we shouldn't still be sensitive to and aware of our status as a forum where a lot of BL authors and staff visit and post. PS: A full clear set of rules and moderation guidelines is under discussion at the moment. Hopefully you'll see it sometime soon. I dunno, I think my biggest issue at the moment is that whilst I am airing my opinion now and getting myself into a bit of a funk, no one has asked for it (or generally asked for the views of the members of the community considering we are the users). It's a lack of discourse which puts into question the suitability of any scheme you come up with. The sub board is a grand idea, simularly banning topics altogether works, I can respect and get behind both of them and I do trust that there is a method to the madness and some line of reasoning to the thought processes that lead you to these actions. I'm not privy to all the facts, I don't know how many users constitute the 'some' mentioned or how badly they responded to the efforts of the moderators or what they did in the first place and the volume and nature of the complaints recieved to lead to the decision to change the way the forum works for all based on the actions of these 'some' I recall seeing one member argue about getting modded and what not in some threads, that was a bit out of hand and not pretty for sure but as a casual observer I wouldn't say there'd been a marked step up in unsuitableness and immature reactions to the modderating which makes this whole course of action seem a bit more out of the blue for me which doesn't help when I form my knee jerk reactions. So again I'm not getting at anyone here, though the perception that the mods will talk and decide things that impact the entire community without engaging with the community may be one that you could do with reducing in the future. Stance/opinion hasn't changed, but I'll opt in. Sorry, but I can't extricate my lust for gossip and secrets. It's opt in. I hope you're happy with your role in what is surely my nascent case of Stockholm Syndrome. EDIT: something about overeager/mishandled moderation possibly ruining the community, as outlined by Schafe's line, by driving away otherwise wholesome folks. Check Last Visited. Last edited by Xisor on Sat Jun 04, 2011 4:45 am, edited 2 times in total. I'm liking the debate about debating. flick wrote: I'm liking the debate about debating. But shouldn't it be in the lounge!? There's a great big old paradox nearby and I'm not sure which of myselves it is. EDIT: See edit above for contextual content. Well, I think it's fairly safe to say that we've pretty much exhausted this particular debate. Seems to me that everyone's made their viewpoint fairly clear. Xisor, it'll be good to have you on board and I hope you enjoy yourself. I know that there are a number of forum members who disagree with this particular decision and I both understand and respect that, but can I just gently remind everyone that, if querying specific moderation decisions in the future, can you please use the PM-a-mod method? It's usually quicker and more effective. This thread has been a bit of an exception to that rule for obvious reasons.